A former prison in Rutland, wrecked during riots, is to reopen as a business park. The county council said it has agreed a deal with the Ministry of Justice to buy the Ashwell prison site. It was shut in March 2011 as part of a wider package of closures by the government, and two years after being severely damaged in a riot. The council said the site would provide much-needed business units and facilities at affordable rates. The category C prison held more than 600 inmates but was never fully operational again after the riot in April 2009. Council leader Roger Begy said: "This is a very exciting project for the local community - it secures the future of a key site in Rutland, which could easily have remained boarded up for a number of years." 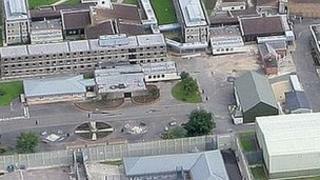 Over the next few months, prison fencing will be taken down and accommodation blocks damaged during the riot will be demolished to make way for new units. The authority is hopeful that the park will have its first tenants later this year.